The cast for Independence Day 2 has expanded to include French actress Charlotte Gainsbourg, after it was confirmed that she will take one of the leading roles of the impending disaster flick. This will mark the first occasion that Gainsbourg has appeared in a bona-fide Hollywood blockbuster. The Hollywood Reporter were the first to reveal that Charlotte Gainsbourg will be joining the ensemble, and her addition confirms that Independence Day 2’s cast is both well-rounded and intriguing. Gainsbourg will be joined on the film by Liam Hemsworth, Jesse Usher and Jeff Goldblum, while Bill Pullman is also expected to return in his role too. However the presence of Pullman, who previously played President Thomas J. Whitmore, is yet to be confirmed. But I think we are all pining for it to be a reality. 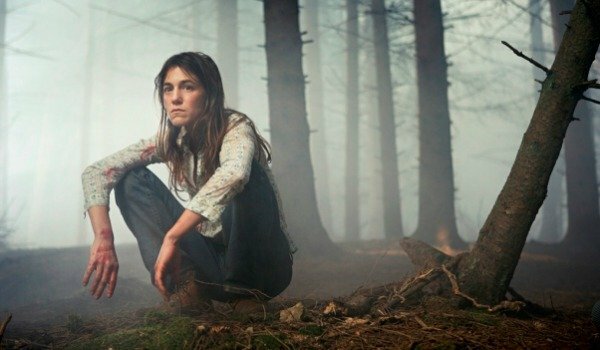 Since 2009’s Antichrist Charlotte Gainsbourg has worked extensively with director Lars Von Trier. The partnership has seen the actress and Danish filmmaker collaborate on the likes of Melancholia and Nymphomaniac too. Gainsbourg, who is the daughter of Serge Gainsbourg and has also had an impressive recording career, has also appeared in the likes of The Science Of Sleep, 21 Grams and I’m Not There. Independence Day 2 will be released almost 20 years to the day after the hugely successful original, and 20th Century Fox will be hoping that viewers decide to take a trip down memory lane in their droves for the sequel. And the fact that Independence Day took in $817.6 million back in 1996 suggests that it’s probably a correct assumption. Independence Day 2 is set to make blatant references to and expand upon its predecessor, however it will be doing all of that without the presence of Will Smith. But in order to make up for his absence, 23-year-old Jessie Usher has been cast to portray Dylan Hiller, the son of Will Smith’s Captain Steven Hiller from the original, while it’s also been speculated that The Hunger Games’ Liam Hemsworth will be playing the son-in-law of Pullman’s President. Meanwhile Jeff Goldblum will be reprising his role as David Levinson, the MIT computer expert who alongside Smith’s pilot managed to save the world from destruction in Independence Day. Independence Day 2 was previously devised and developed by the writing team behind the first film, Roland Emmerich and Dean Devlin, before it was then passed on to Zodiac’s James Vanderbilt. However Carter Blanchard (who previously wrote for 2009’s G vs. E) is believed to have extensively re-written their version. Fox are still looking for a director for the blockbuster, and once they’ve done that we’ll have a clearer picture of how Independence Day 2 is shaping up. But with the cast they have in place, it's so far so good. Independence Day 2 will be released on June 24, 2016, 10 days ahead of when it really should be.